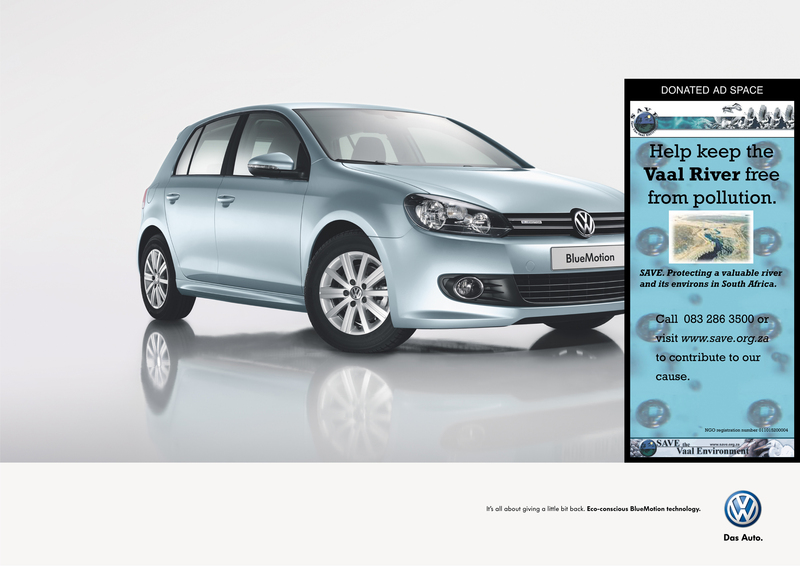 BlueMotion is Volkswagen’s more environmentally-sensitive range. Ogilvy Cape Town designed a print campaign for the range by asking Volkswagen donate part of their very expensive advertising space to small, eco-focused non-profit organizations who really needed the exposure. 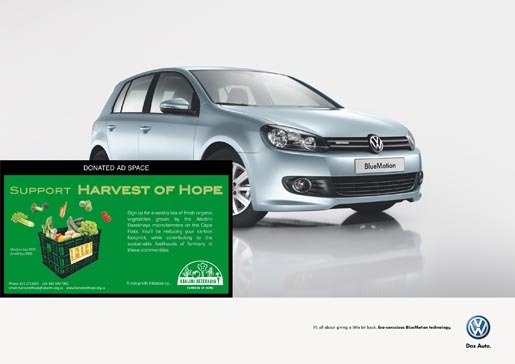 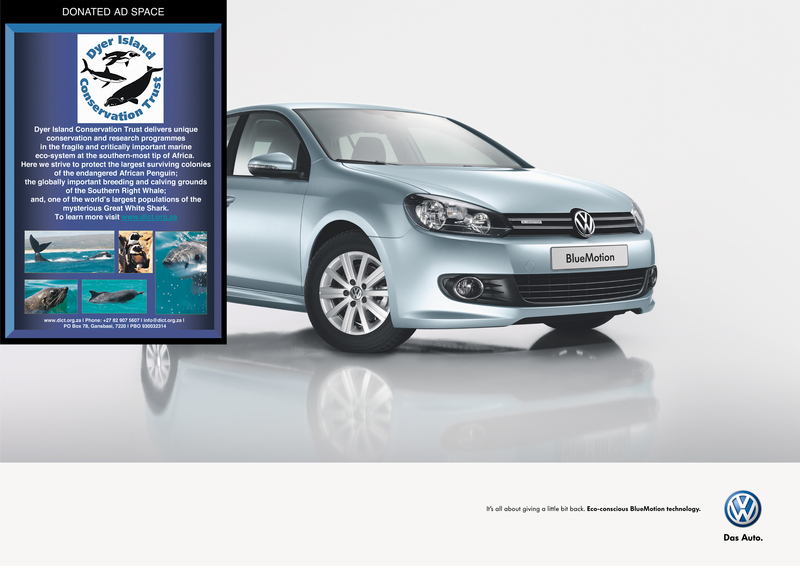 The non-profits benefited from getting their message out there, and BlueMotion proved itself as a brand that doesn’t just talk, but takes action. 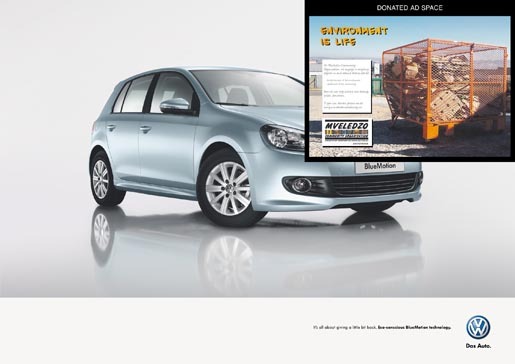 The Non Profits campaign was developed at Ogilvy Cape Town by creative director Chris Gotz, art director Prabashan G. Pather, copywriter Sanjiv Mistry, account managers Lauren Baker, Jason Yankelowitz and Greg Tebbutt.